Black fabric cannot be dyed green until is has been sufficiently lightened. Attempting to layer green dye over black fabric will have little to no effect and is a waste of time. First, you must lighten the black fabric by removing the existing dye. Color remover can be purchased at many grocery or craft stores and should lighten most fabrics. After lightening, black fabric usually appears an orange or yellow-green color. This color should be light enough to receive the green dye. Place the black fabric into your washing machine and turn the washing machine on. Pour one package of color remover into the washing machine while it is agitating and leave the lid of the washer open. Let the black fabric soak in the washing machine for approximately one hour before closing the lid and allowing the cycle to run it's course. Check the black fabric to see if it has faded. 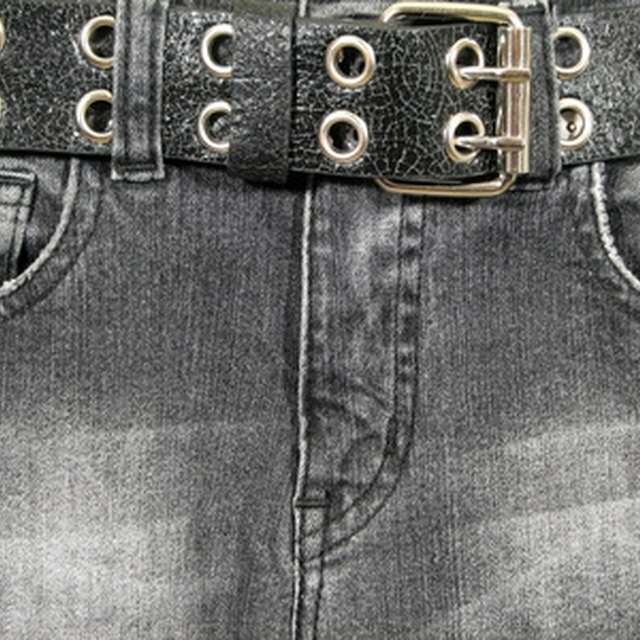 If the fabric is still black in some spots, repeat the color remover process. Leave the wet fabric in the washing machine when the cycle is complete. Set the washing machine to the hottest setting and allow the machine to fill with water and cover the fabric. Add green liquid dye directly to the washing machine or dissolve powder dye in hot water before adding to the machine. Allow the machine to agitate and leave the lid open for approximately 30 minutes. Close the lid of the washing machine and allow the cycle to complete. Run an additional rinse cycle to thoroughly rinse the dye from the fabric. Dry the green fabric in your clothes dryer or hang the fabric up to air dry. If you have a front loading washing machine, choose the longest wash cycle available to allow the color remover and dye time to work. Clean your washing machine after dyeing by running an empty hot wash cycle with laundry detergent and one cup of bleach to avoid staining clothes during your next load of laundry.